Much of the hype and hysteria surrounding to so-called 'tablet revolution' has quietened down in recent weeks following the UK launch of the Apple iPad. Despite this, the new era of tablet computing got a new big-player today from the largest country in the world as Russia's Rover Computer company announced not just one tablet but five of the portable PC blighters. The five new Russian born tablets will range in size from a puny 4-inches to a much more respectable 7-inches, and whilst four of the new portable devices will sport Android operating systems, one will turn its back on the Google OS opting instead for the Windows CE 6.0 offering. 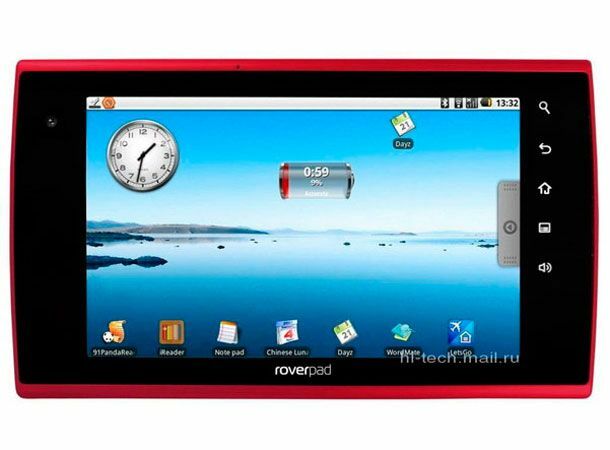 With just a 5-inch display, the Android-powered Rover Go G50 tablet will boast 128MB of RAM, a 2GB hard drive, and 3G and WiFi connectivity alongside a microSD slot and USB port. Its larger 7-inch capacitive touchscreen touting sibling, the Rover TegA W70 willflaunt an impressive spec sheet that includes HDMI connectivity, NVIDIA's Tegra chip, 512MB RAM, 4GB of storage and an inbuilt webcam. Whilst pricing details for the range of upcoming Rover tablets have yet to be announced, we are expecting to see the Russian handheld devices hitting shelves by October this year. Stay tuned to T3.com and our Twitter and Facebook pages for all the latest on the range of Rover tablets and all the news, features and reviews from the world of tech.